Gill graduated from University of Central Lancashire in 2007, and soon after he met his collaborator Baldwin Li. Gill has won numerous awards including a Royal Television Society Award. In 2014 Gill and fellow producer Baldwin Li were nominated for an Academy Award for Best Live Action Short Film for their film The Voorman Problem, as well as receiving a BAFTA nomination in 2013. 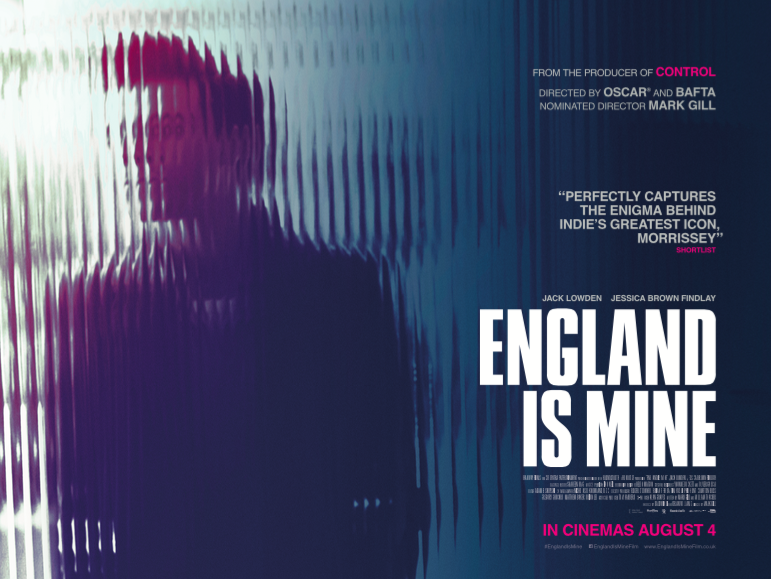 Today I had the chance to chat with Mark about his feature-length debut that he wrote and directed, England Is Mine, a biopic based on the early life of Morrissey. It premiered at the closing gala of the Edinburgh Film Festival on 2 July 2017, and is currently available on DVD in the UK and in the States. Press play on the embedded player below to hear our conversation.